Produced by bees feeding on the nectar of the Manuka bush found in New Zealand, Manuka honey is one of nature's most complex creations. 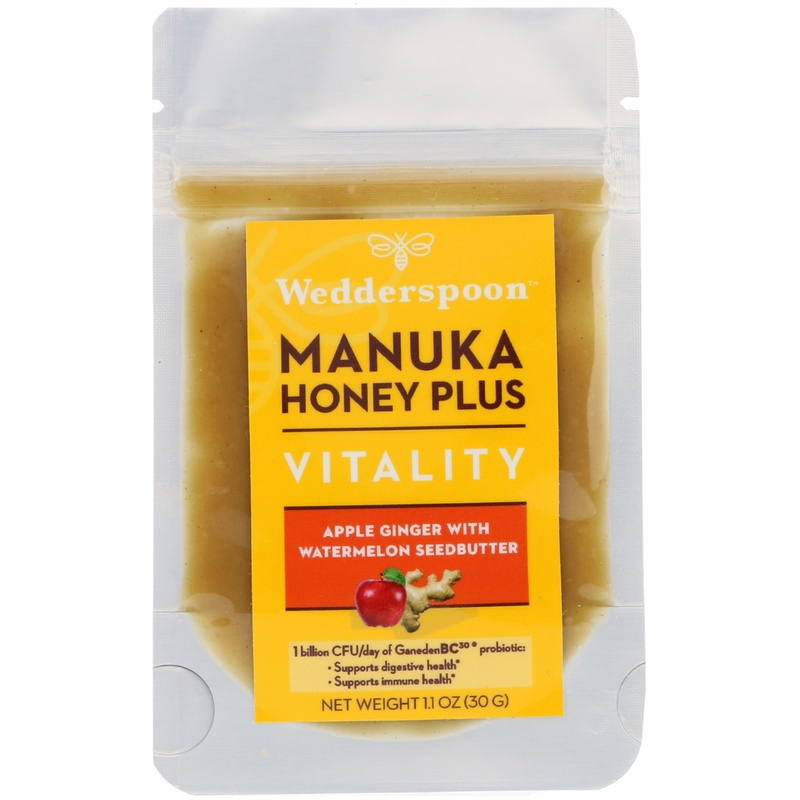 With inherent health and wellness properties, Manuka honey is renowned for its multiple uses. 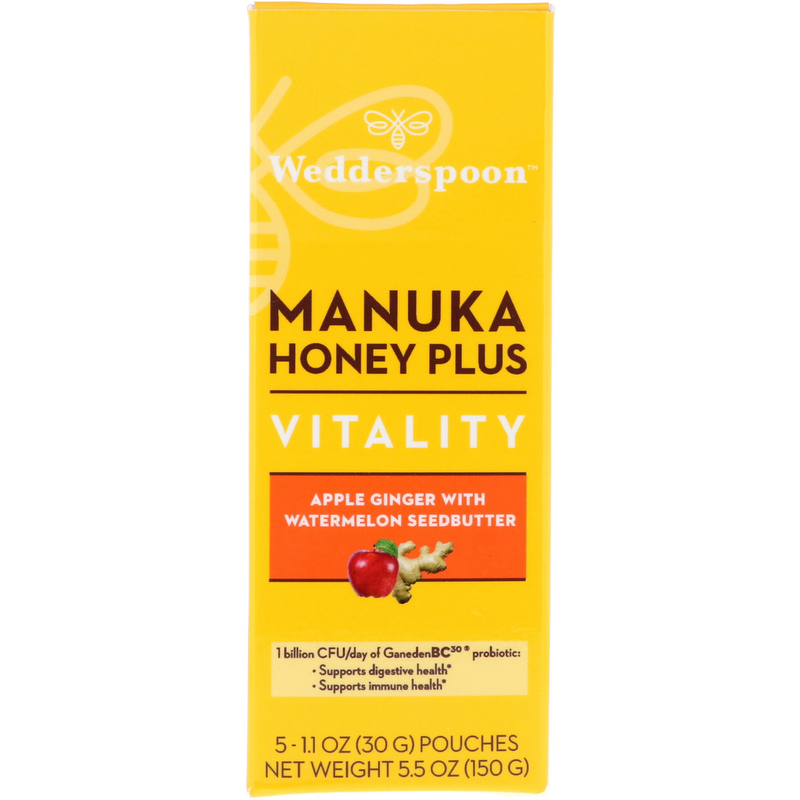 Wedderspoon is committed to providing the highest quality Manuka Honey products for your Manuka kind of life. Manuka Honey Plus is an anytime, anywhere shot that combines KFactor 16 Manuka Honey with innovative wellness ingredients to create a powerful snack that fuels your body and mind. 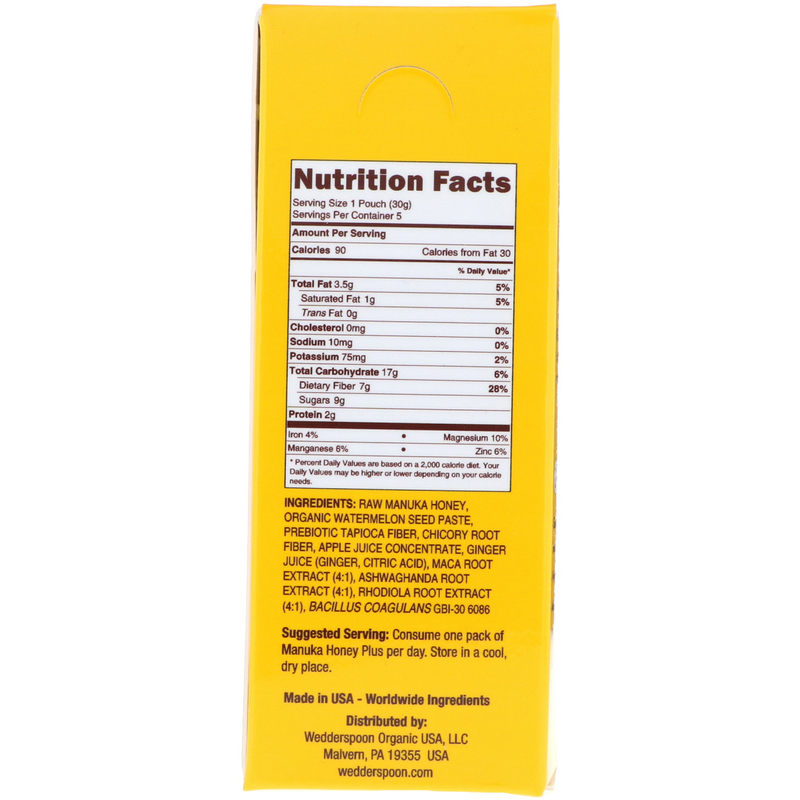 Consume one pack of Manuka Honey Plus per day. Raw manuka honey, organic watermelon seed paste, prebiotic tapioca fiber, chicory root fiber, apple juice concentrate, ginger juice (ginger, citric acid), maca root extract (4:1), ashwaghanda root extract (4:1), rhodiola root extract (4:1) bacillus coagulans gbi-30 6086.